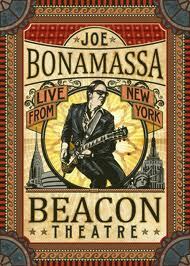 The new Joe Bonamassa Live DVD comes out on March 12, from the Beacon Theatre in New York. Awesome video with audio mixed in Stereo and 5.1 Surround Sound by Kevin Shirley. Guests included are Beth Hart, John Hiatt, and Paul Rodgers.